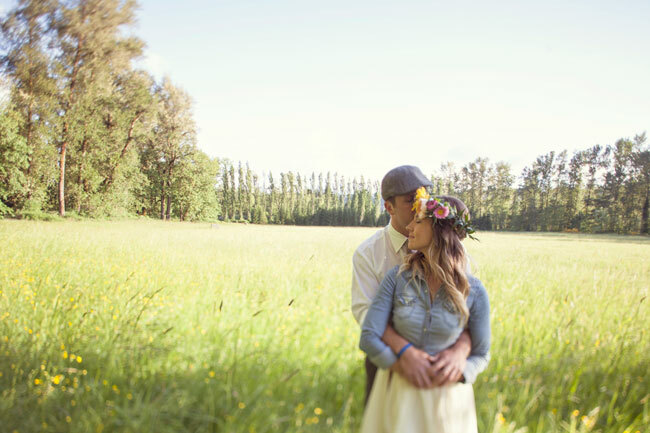 Krystal and Ryan’s Engagement session is so dreamy! 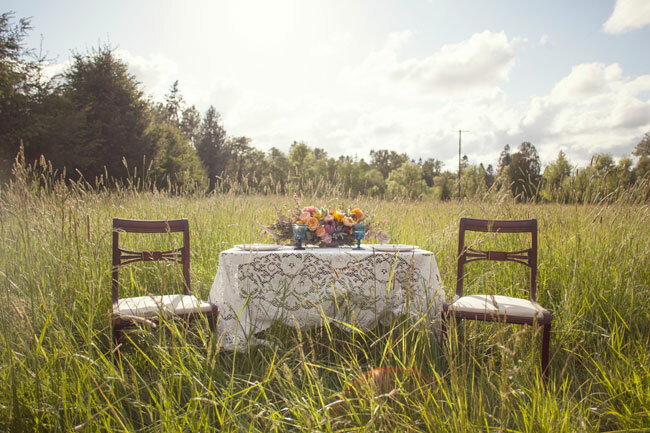 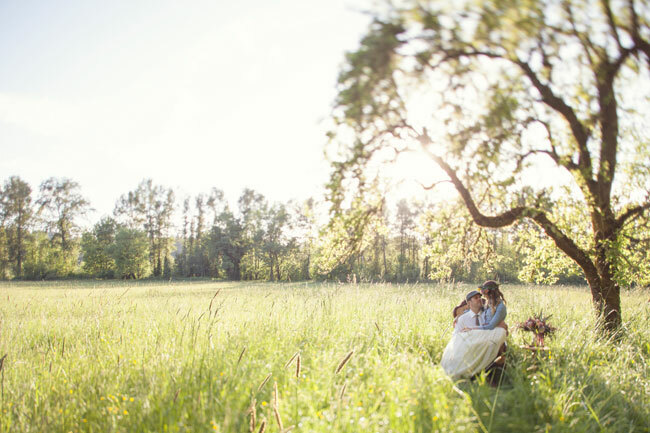 The hay field, large tree, and floral arrangements give a very romantic feeling to this Bohemian styled engagement. 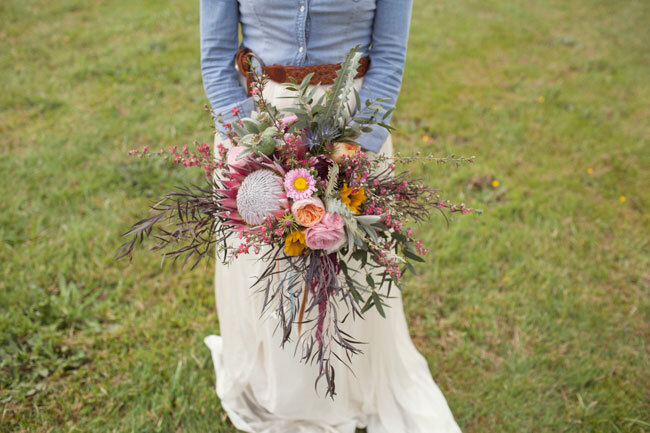 There is nothing that I don’t like about Krystal’s outfit—her denim shirt with belt over a Sarah Seven dress with her flower crown is the perfect look for this shoot! 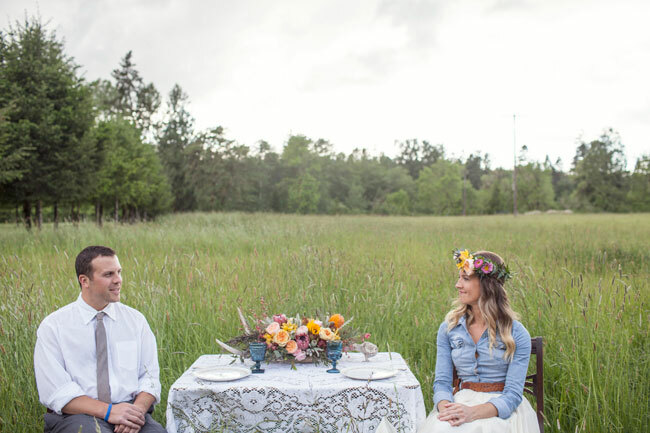 Here is what Wilde Love Photography said about the shoot: Krystal is having a rustic fall wedding and is planning on using antlers on the tables so I knew that we had to include antlers in the shoot. 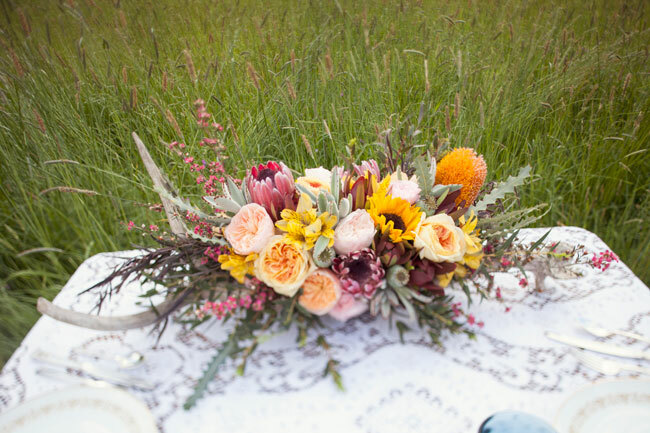 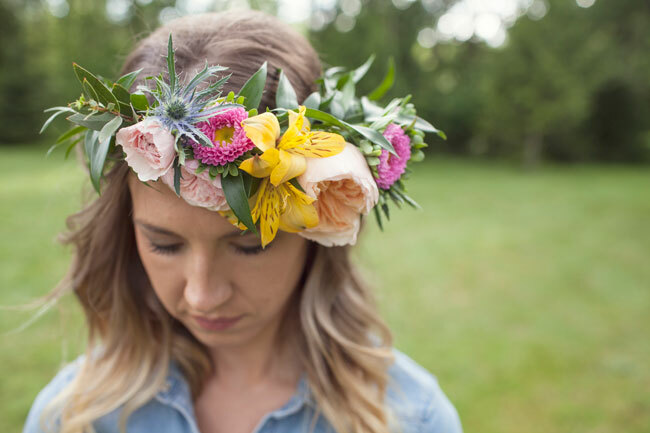 Kim of Swoon Floral made us the most beautiful centerpiece of flowers laying on top of large antlers. 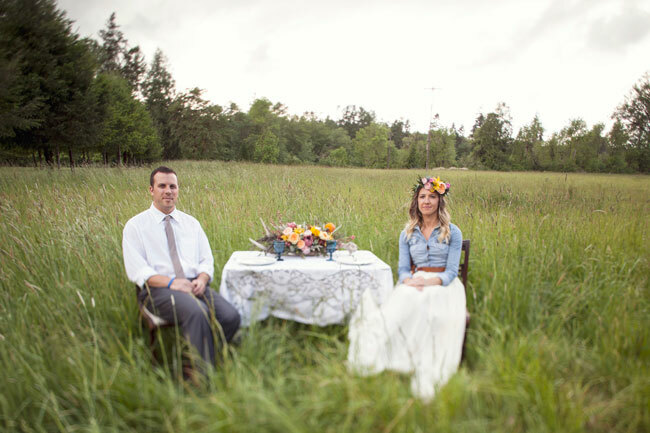 And we did a side table next to a vintage mustard chair with a bouquet and another set of antlers. 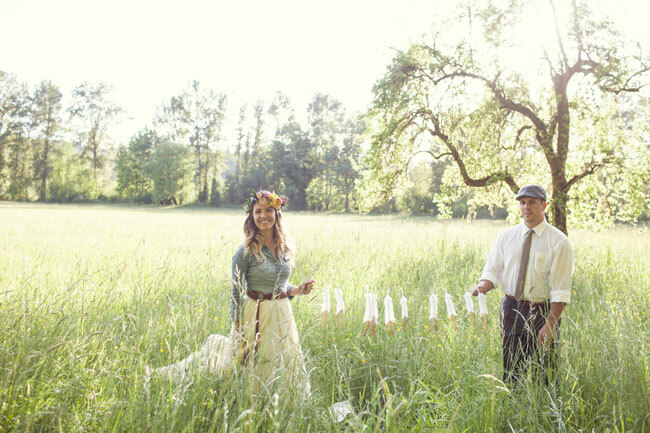 I love the gold glitter feathers—so cute! 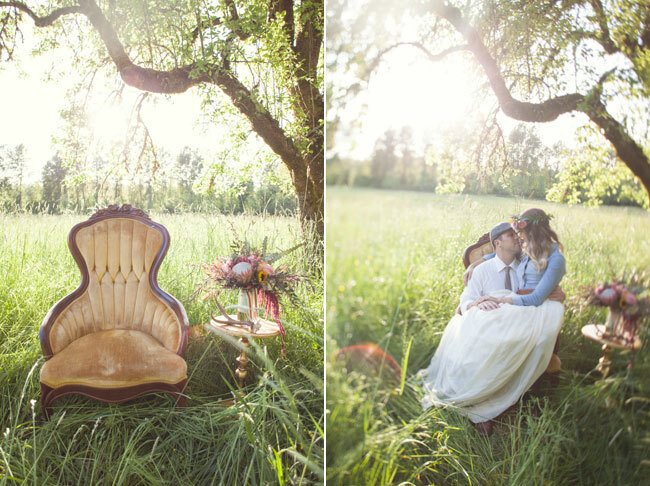 Absolutely love this shoot! 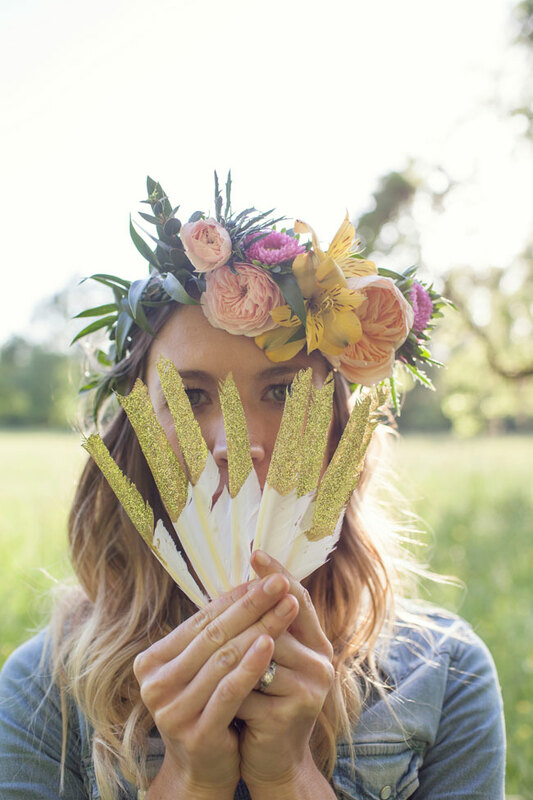 I am going to be having elements of Gold in my wedding so def stealing this gold feather idea, Thanks!